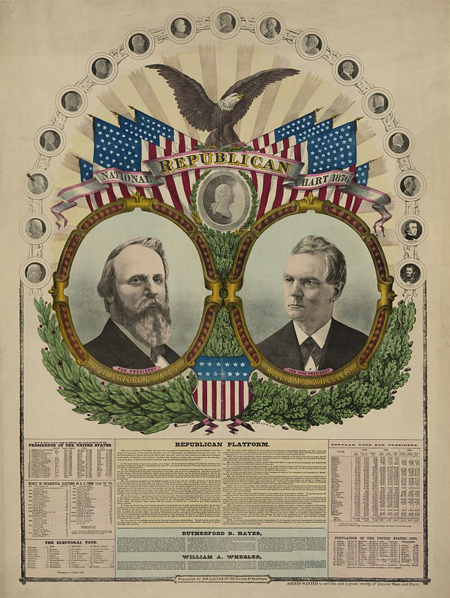 Today in History–October 4–the Library of Congress features President Rutherford B. Hayes, born on this day in 1822. After a bitterly contested election, Hayes became the nineteenth president of the United States in 1877 thanks to the vote of a special electoral commission. Learn more about Rutherford’s fascinating four years as chief executive by reviewing the Today in History section then click the links below to access more primary resources and stories related to this president.